Learning how to make a great seed raising mix means you are giving your seedlings an excellent head start. 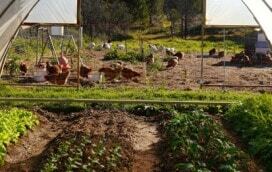 It also keeps costs down and is a great fundamental skill of edible gardening. Recently up at the107 Rooftop Garden, that’s exactly what we were all there to learn how to do. A dark threatening sky looked over the first monthly community gardening day. Potential rain didn’t keep away this group of gardening enthusiasts though! With gloves and enthusiasm at the ready, it was time to get mixing. 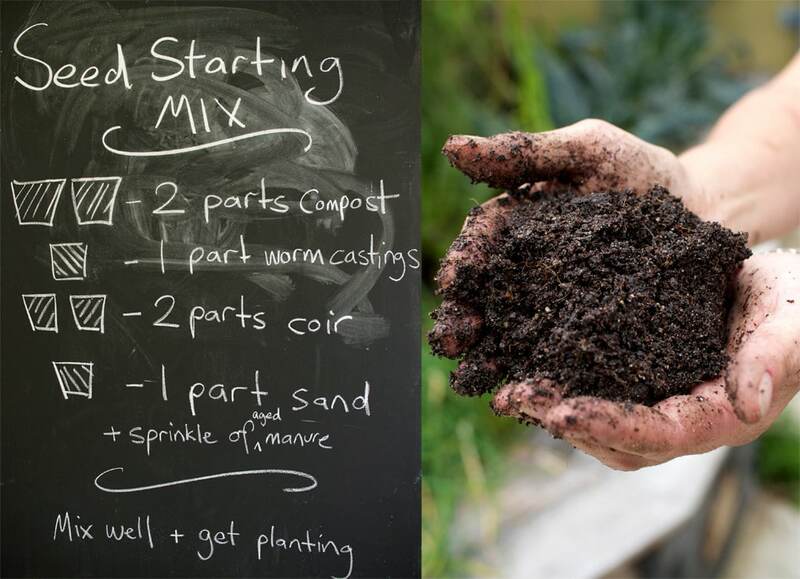 Making your own seed raising mix is easy to do, and the results are so worth it. 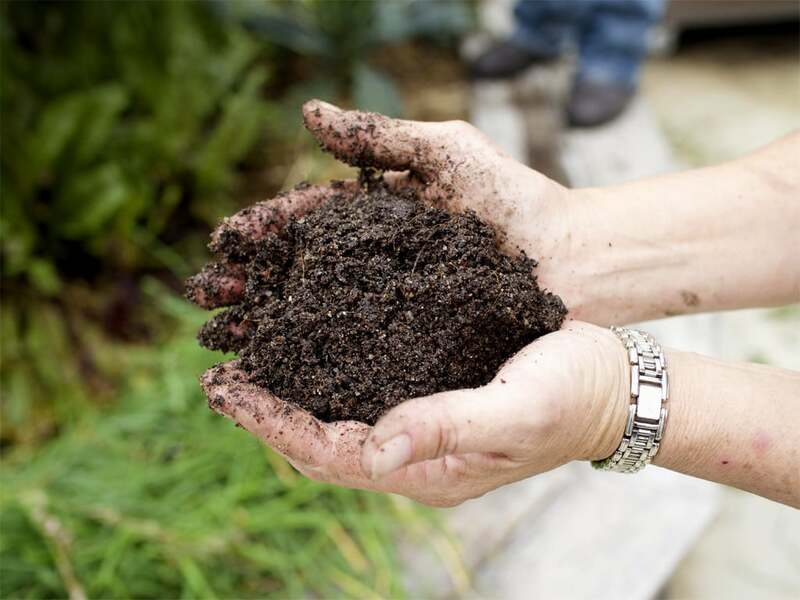 Compost– good stuff, use your own or buy the best you can get. 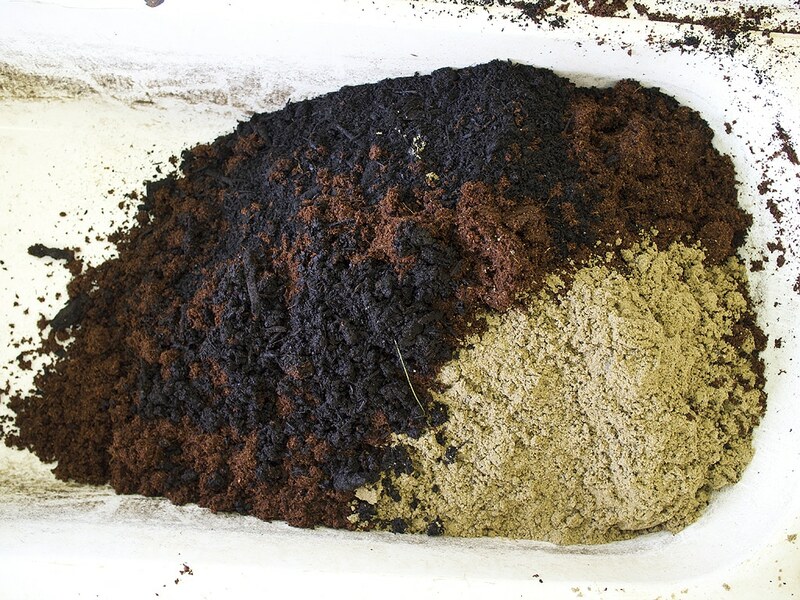 Coco coir– coco coir or coco peat is a more sustainable option than using peat moss. Sand– helps with drainage, and doesn’t compact too much. Worm castings– sift any stray worms out first. 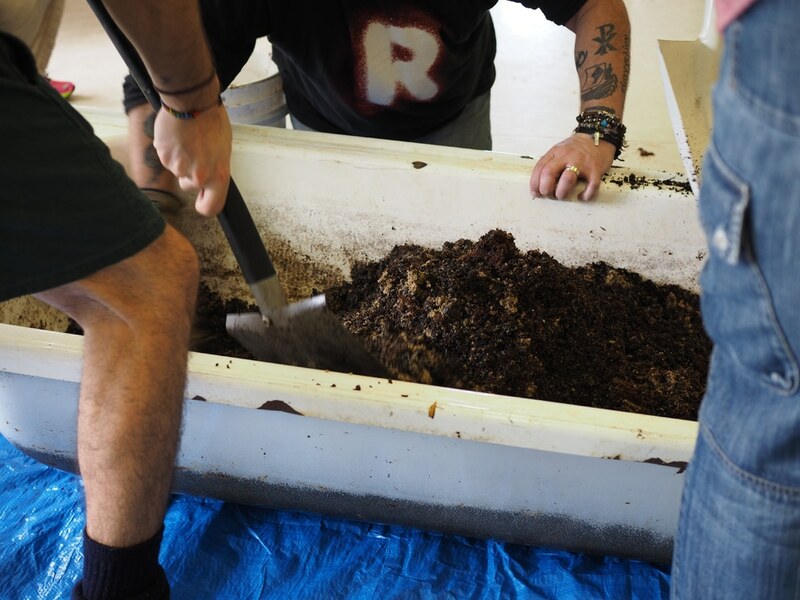 Manure– we’ve used aged chicken manure here. Don’t use fresh stuff as it is too nutrient dense and will hurt the seedlings, and can also go mouldy. Small amounts of aged manure works a treat though. You can make this up in smaller amounts, but bigger is a little easier though (done in an old bathtub here). If you don’t think you need quite this amount, make it up with a bunch of friends and share it out! A great excuse to get together, and talk all things gardening. And mix, and mix, and mix. Next, you can either run it through a sieve to get all the bigger bits out if there are any (you don’t want chunky bits in there) or use as is. Ideally you would now leave your seed raising mix for three days to get some of the moisture out and to let it all settle a bit (have it covered if you are doing this, to stop it drying out completely). Here we got straight into it though, using the mix that had been sent through the sieve for the smaller seedling areas. 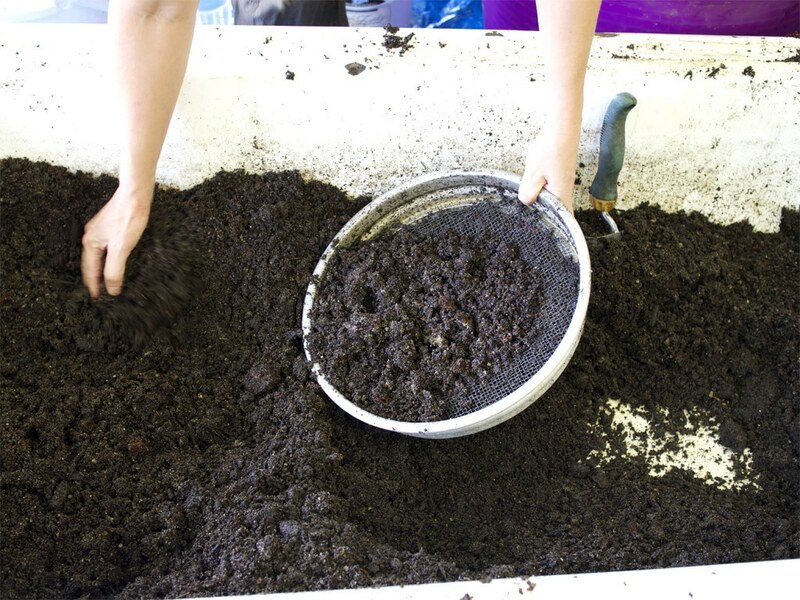 Fill your seedling tray, pots, empty toilet rolls or whatever it is you are using, and carefully level it all off. 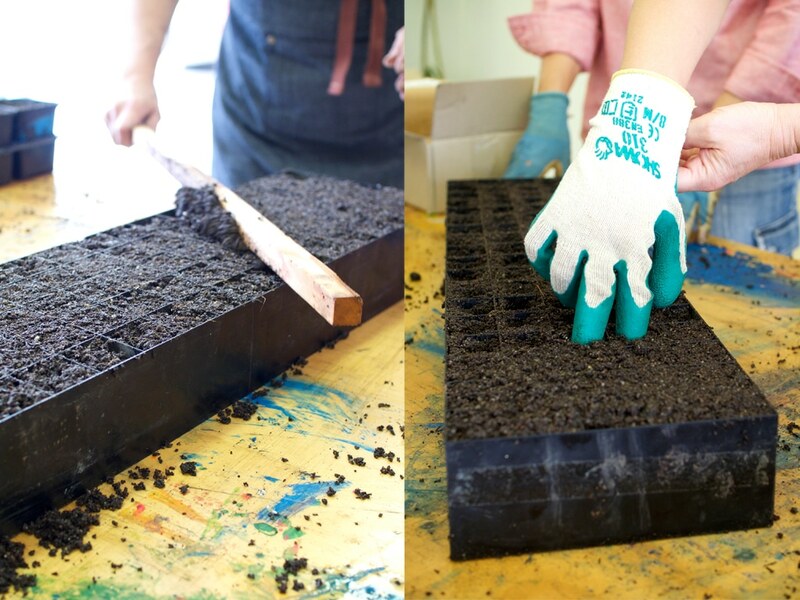 Gently tamp the soil using two fingers – just lightly pressing down, you don’t want to compact the soil here at all. But you do want to eliminate air pockets. Once this is done, top the containers up with as much of the seedling mix that is needed and again gently level it off. Using a pen as a dibber, go down as far as you need to for the seeds that you are planting. Each seed has a different ideal depth, so check on the back of the packet for what your seeds need. Drop in 2-3 seeds, and gently cover it over again with some of the seed raising mix. Ideally, you should be gently misting your seedlings daily to keep them moist, until the first leaves appear. And now finally it’s time to watch your little seedlings grow! 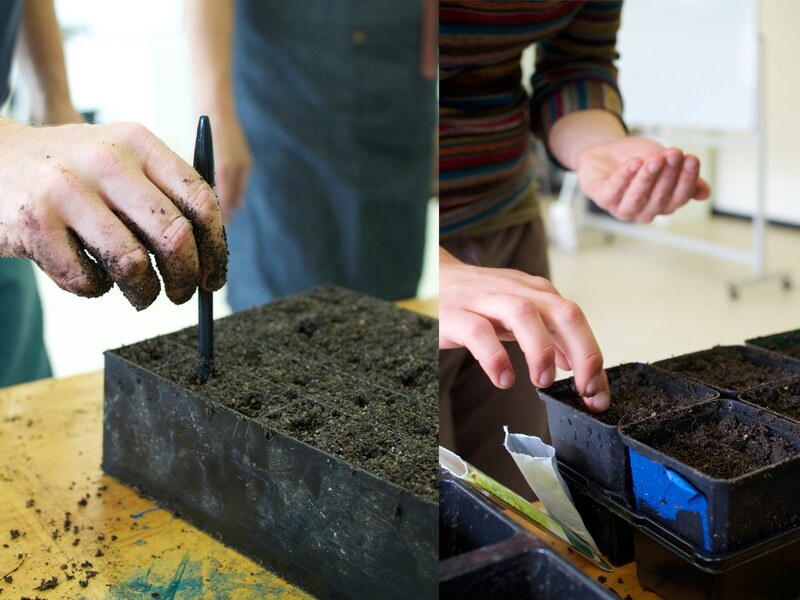 If you would like to come and see the 107 Rooftop Garden for yourself, we’re running monthly community gardening days – a great morning of new skills, garden chores and free seedlings. **This seed raising mix recipe is the secret sauce that all Allsun Farm seedlings are raised with. Thanks to Mike + Joyce for sharing their recipe! Your guest writer today is Brydie Piaf – home baker, maker, blogger, photographer and wrangler of small people. 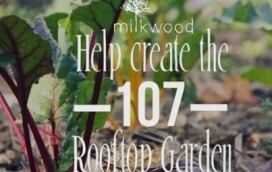 Help Us Build the Best Rooftop Garden Ever? Hey it’s our first ever crowd funding project! Want to help us . . When we first moved to Mudgee in 2007, clearing sales were a big . .
Allsun Farm’s market garden down at Gundaroo is like this littl . . Thanks for the seed raising mix recipe! 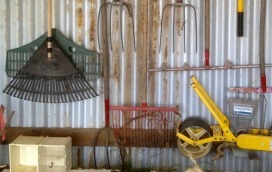 I have a question for you though ….I’m from QLD where seed raising was very simple. Here in Canberra, i either can’t get the seedlings to come up or they come up really long and spindly or they don’t go past the 2 leaf stage. Help! What am I doing wrong? I really want to use my heirloom varieties in my garden. 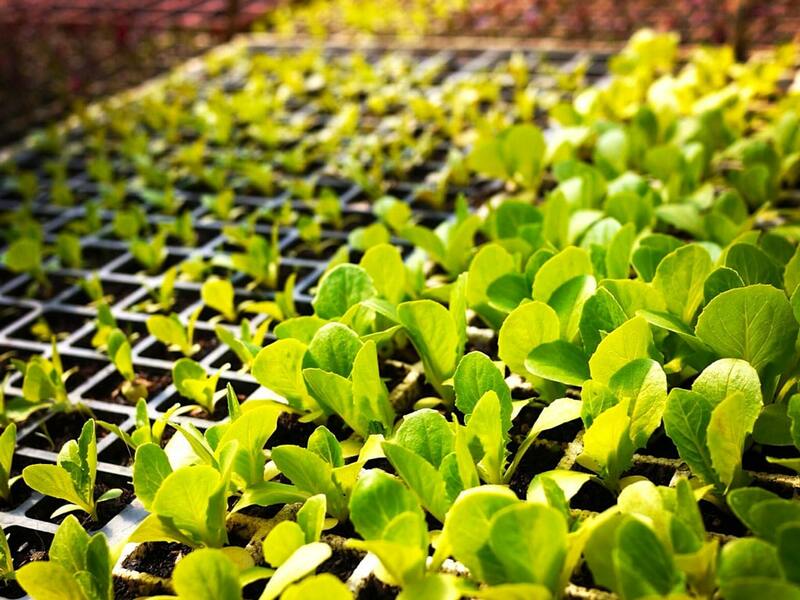 Sounds like light issues….. seedlings usually stretch to reach the sun. It can be hard in Canberra to give them enough light and still protect them from the heat / cold / drying out. In Queensland and Northern NSW everything grows so fast your seedlings are ready to be transplanted in no time….. everything takes so much longer in the cooler months down south, and extreme heat over 35C slows down all our vegetables as well… see the graph below. So if they take longer to grow and they are not getting enough light they use up all their nutrient and get all leggy. I would increase their light levels… this time of year consider adding a heat pad to make them grow a little faster and maybe put them somewhere with a little more airflow to thicken up the stems. 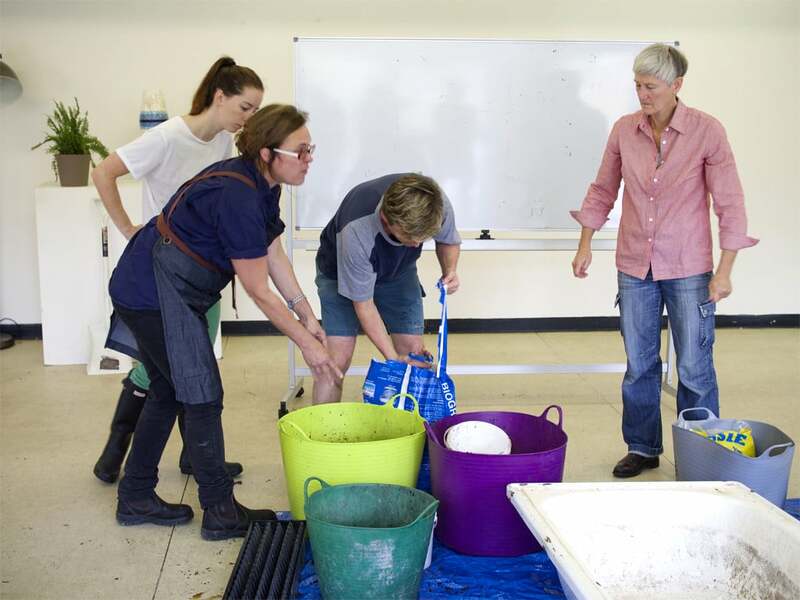 Join us for two jam-packed days of skills in no-waste, edible + medicinal mushroom propagation. 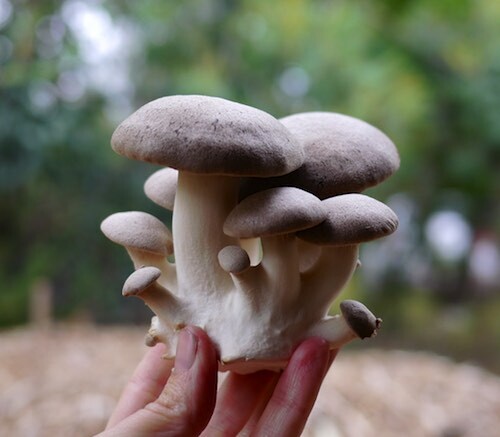 Learn how to grow delicious oyster, shiitake, lions mane, king stropharia and many other mushrooms at home, organically!